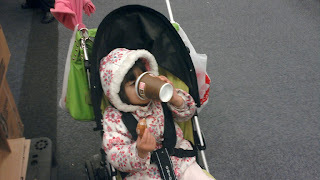 The beautiful, the wonderful and the Crazy Life of The Ozturks: Life as a Toddler--Gimme that coffee! The kid has a reputation to uphold; So many expectations can deprive a child of her energy. I am officially giving her material to call me a bad parent 25 years from now. 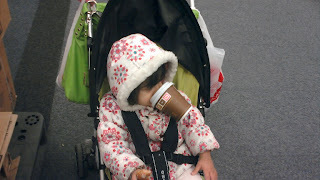 Or to be a bad parent, give her own kids coffee and then procure this entry as proof that she inhaled coffee as a baby and still turned out near normalok.